You'll notice in your Financial Summary Report that Voucher Sales are listed separately from Sales. This is because of the differences in how Vouchers and Sales are treated under accounting standards. Regular sales: Your business delivers a service and prepares an invoice, and your client pays for it after the service is rendered. These types of sales are reflected in your Finance Summary report. With vouchers, the opposite occurs. Your client pays for a voucher upfront for a service that has not yet been rendered. This now creates an obligation for you as a business to deliver this service at a later, often unspecified date. In accounting terms, we refer to this as a liability or a credit that you now owe your client. As long as these liabilities are outstanding, they would be reflected as debt, and not as sales. When a voucher is redeemed, the service obligation of the voucher is cleared, and the liability can now be considered revenue. We'll show you how each of these steps are reflected in Shedul's reports. 2. 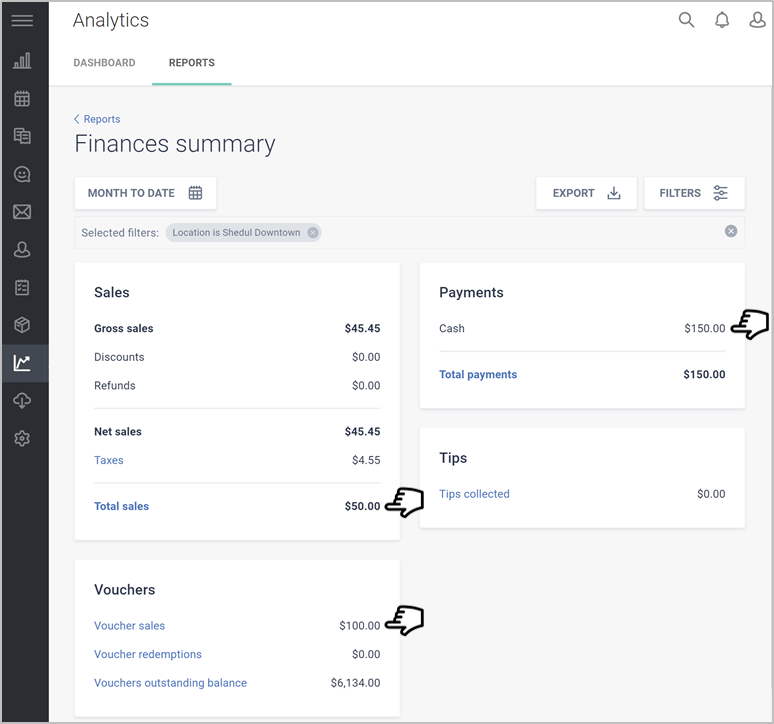 In your Finances summary report, you'll see the voucher sale reflected in both the Vouchers section and the Payments section. 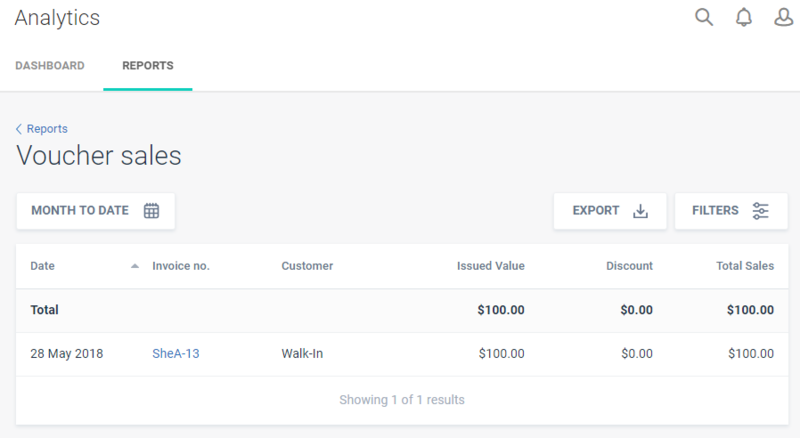 For example, in this case, $50 were generated in sales and $100 worth of vouchers were sold, accounting for $150 worth of payments. Sales are thus not affected by issued vouchers. 2. 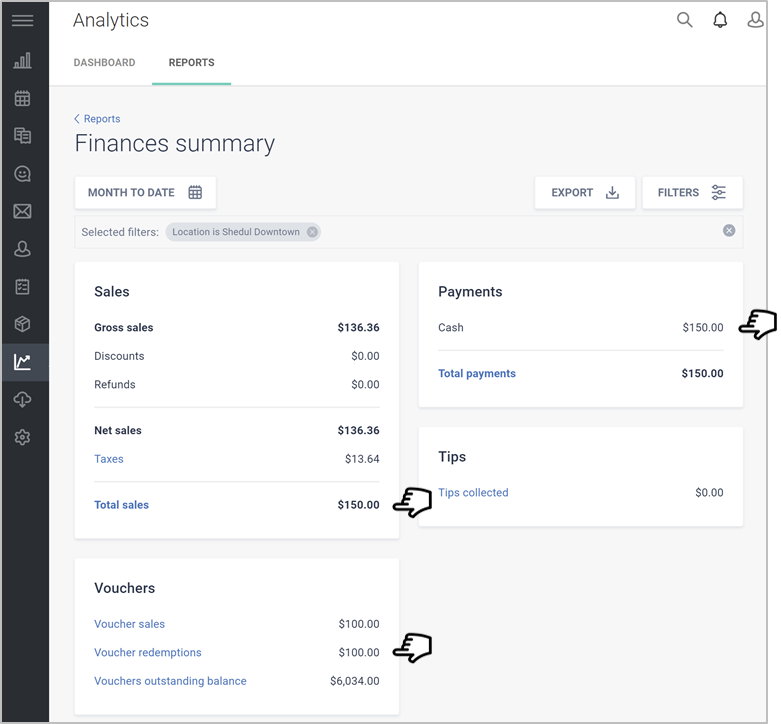 In your Finances summary report, you'll see the voucher redemption reflected in both the Sales and Vouchers section. Using the same example, $100 worth of voucher redemption contributed to $100 worth of sales, but the payments have not been changed. 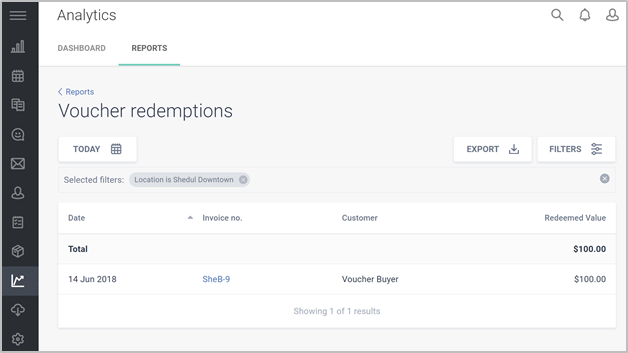 TIP: You can track all issues you have issued or redeemed, as well as track their expiration status, on the Sales > Vouchers tab. This is also a great place to track voucher codes for redemption.